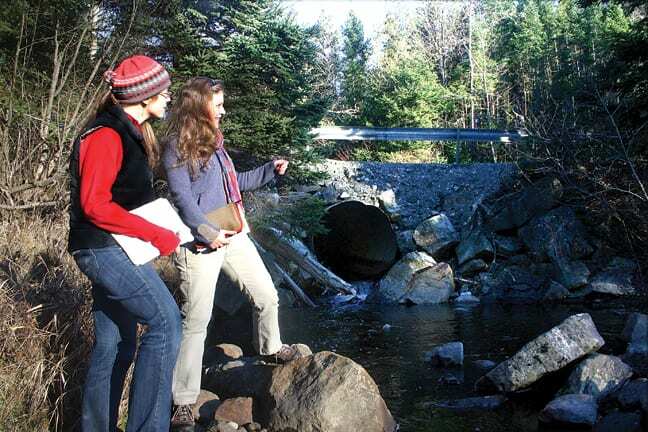 Researchers analyze the air near a hibernating bat in the Adirondacks. Photo by Carl Heilman II. A study published in the journal Nature confirms that the disease decimating bat colonies in New York and many other states is caused by a fungus known as Geomyces destructans. Known as white-nose syndrome, the disease causes lesions on the bats’ skin and a white growth on their muzzles. Since its discovery in a cave near Albany in 2006, it has spread to sixteen states and four Canadian provinces. The disease has so devastated bat populations that some species are in danger of extinction. Earlier this year, Winnie Yu reported in the Explorer that the number of little brown bats in the Adirondacks—once the most common bat in the region—has plummeted 90 percent. Northern bats are down 98 percent. Indiana bats, an endangered species, are down 60 percent. Biologist Jeremy Coleman of the U.S. Fish and Wildlife Service, one of the five authors of the study, said today that the disease is continuing to spread, though there is some evidence that it has stabilized in some colonies. 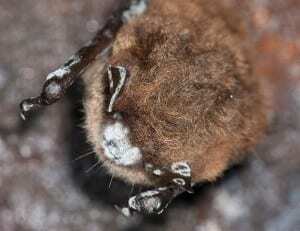 Scientists had suspected that Geomyces destructans was the cause of white-nose syndrome, but the new study confirms it. Researchers at the National Wildlife Health Center in Wisconsin found that healthy bats exposed to the fungus developed lesions and other symptoms associated with the disease. Before the study, some experts speculated that the fungus was itself a symptom, not a cause, of illness. The researchers say little can be done to control the spread of white-nose syndrome. One possibility is manipulating the habitats of caves to make them less hospitable to the fungus. The same fungus exists in Europe, but it has not decimated bat populations there. 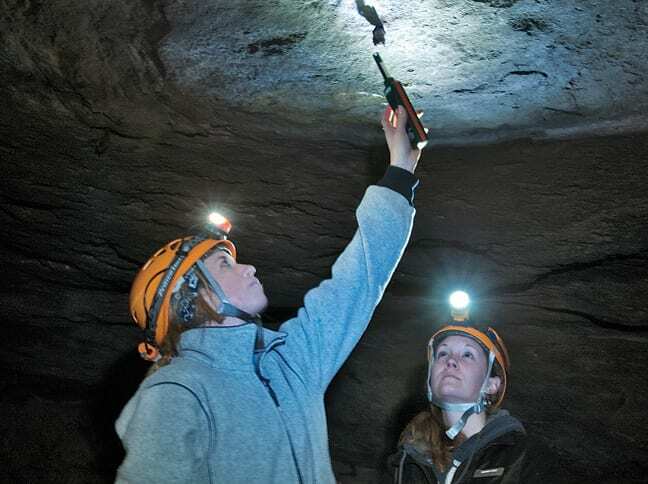 It’s thought that the fungus may have been inadvertently carried to the United States by a human and introduced to a commercial cave in Schoharie County, whence it spread to bat hibernacula. Coleman’s co-authors included three scientists from the U.S. Geological Survey: microbiologist David Blehert, wildlife pathologist Carol Meteyer, and wildlife disease specialist Anne Ballmann. The fifth researcher was Justin Boyles of the University of Tennessee. 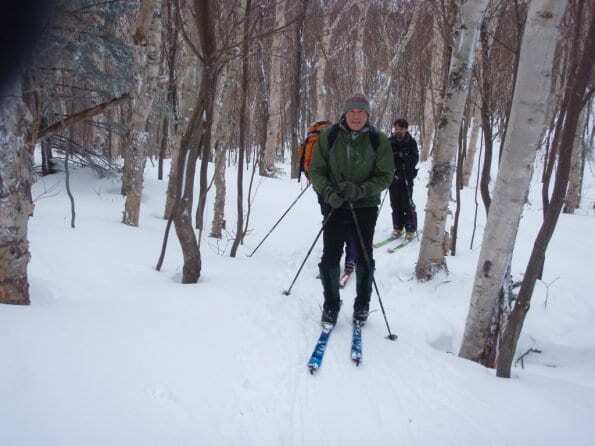 For more information about white-nose syndrome and its impact on the Adirondacks, we encourage you to read Winnie’s story. So the white nose fungus started at Howe Caverns? The hypothesis is that a human introduced it there, but that’s not where the fungus was first detected. It was discovered by scientists near Albany. Later they found a photo taken a year earlier at a cave in Schoharie County (not far from Howes Cave) that showed a diseased bat. So that’s the earliest known appearance of the fungus in the U.S. So it sounds like the European bats have evolved resistance to the fungus. Hopefully we will see the same thing develop here but that will take a lot of time.